In order to improve the economic and strategic ties with the countries in Indian Ocean, the Indian Prime Minister (PM) on March 14, 2015 concluded his tour of three strategically important nations of Seychelles, Mauritius and Sri Lanka. Initially, Maldives was also the part of PM’s itinerary but was cancelled later due to the on-going political turmoil there. Significance of Indian Ocean can be analysed from the fact that it witnesses half of the world’s container traffic and 70% of the world’s oil traffic making it one of the most important sea routes of the globe. China had already made its presence felt in several island nations. The Indian PM’s visit to Seychelles, Mauritius and Sri Lanka denotes that the most important littoral state India cannot afford to lag behind. Seychelles, an island nation off the coast of Africa has a population of 90,000 people and 10% of them are of Indian-origin. India has also been providing Seychelles with development assistance in the form of financial aid as well as material assistance. In 2013, the bilateral trade between India and Seychelles was around USD70.5 million which is nowhere near the potential. Airtel and Bank of Baroda are prominent Indian companies in Seychelles doing profitable business since 1998 and 1978 respectively. India also provides training to the security forces of Seychelles. NarendraModi became the first Prime Minister to visit Seychelles since 1983 when his plane landed at capital Victoria on March 10, 2015. India acknowledged the consistent support of Seychelles to India across various international forums. In order to boost security and maritime partnership India and Seychelles signed four agreements regarding cooperation in hydrography, renewable energy, infrastructure development and sale of navigation charts and electronic navigational charts. Apart from this, India also announced granting of free visas for three months to the citizens of Seychelles while extending the facility of visa on arrival. Indian PM also announced second Dornier aircraft to Seychelles and launched Coastal Surveillance Radar Project describing it as a symbol of cooperation between two countries. Seychelles on its part agreed to lease out Assumption Island to India ostensibly for tourism purposes, but in actuality, it could be put to use as a listening and surveillance post. Warm relations between India and Seychelles can be traced back to 1986 when India executed ‘Operation Flowers are Blooming’ in Seychelles on the request of then President to thwart a coup attempt. In 2009, on the request of Seychelles, India dispatched naval ships to patrol its exclusive economic zone and guard it against piracy. India has also helped Seychelles’ armed forces in capacity building. Thus the recent visit by the Indian PM should not be seen as a change in earlier policy but cementing of old relations. Mauritius is the only country in the world where Indian Diaspora constitutes around 70% of total population. Therefore the cultural ties between India and Mauritius were already established since ages. However, the strategic significance of Mauritius in Indian Ocean and its importance as among the largest sources of Foreign Direct Investment (FDI) in India has made Mauritius not just cultural partner but strategic and economic partner as well. As a part of Indian Ocean tour, the PM visited Mauritius on March 11-12, 2015. Leaders of both the countries signed agreements in the field of ocean economy, cultural cooperation, agriculture, improvement in sea and air transportation facilities at Agalega island of Mauritius, cooperation in the field of traditional system of medicine and homeopathy. The MoU (Memorandum of Understanding) for the Improvement in Sea and Air Transportation Facilities at Agalega Island of Mauritius will enhance the capabilities of the Mauritian Defence Forces in safeguarding their interests in the Outer Island. The commissioning of the offshore patrol vessel, Barracuda, will mark another new height in the cooperation between our two countries. India also agrees to waive the visa fee for Mauritius citizens coming to India in respect of new online Visa on Arrival system. Mauritius for its part, has re-affirmed its support for India's bid for a permanent seat at the United Nations Security Council. Sri Lanka is geographically closest neighbour to India in the Indian Ocean still no Indian PM has visited Sri Lanka since the visit of Rajeev Gandhi in 1987 when he was attacked by a Sri Lankan soldier. Of all the island nations, relations with Sri Lanka are most significant because of geographical proximity. Apart from this other issues due to which India and Sri Lanka have strained relations include involvement of China, Tamil issue, fishermen issue, Sethusamudram Canal etc. NarendraModi became the first Indian PM and second foreign leader after British PM David Cameroon to visit the Jaffna, the war ravaged Northern Province of the country. India also announced the fresh line of credit of USD318 million for the railways sector. In order to keep the Sri Lankan Rupee stable, Reserve Bank of India and the Central Bank of Sri Lanka have agreed to enter into a Currency Swap Agreement of US$ 1.5 billion. It was also agreed to facilitate earliest meeting of fishermen`s associations of India and Sri Lanka to find a mutually acceptable arrangement. The MoU signed on cooperation in youth affairs is an important long-term investment in Indo-Sri Lankan relations. Because of geographical proximity of India and Sri Lanka, the Joint Task Force on Ocean Economy would be set up at the earliest. The facilities like Tourist Visa on Arrival and Electronic Travel Authorization would be extended to Sri Lankan citizens from the Sinhala from April 14, 2015, the Tamil New Year. India also announced development of Ramayana Trail in Sri Lanka and a Buddhist Circuit in India. Air India will soon start direct flights between New Delhi and Colombo. The Prime Minister’s tour cannot be seen merely as countering China’s influence in the region but as the realisation of growing significance of Indian maritime security and protection of important sea routes for our national interest. 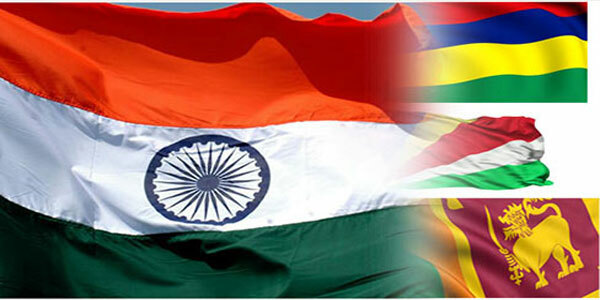 While the visit to Seychelles and Mauritius were centred on strategic interests in the Indian Ocean, Sri Lankan visit was majorly to boost the ties with our island neighbour. Moreover, in order to secure its position as a regional power, India has to ensure rapprochement with the nations of Indian Ocean. The latest tour was a welcome step in that direction.